Lancashire Shop Fronts drive to provide that level of service is but one of the reasons why automatic doors sold by us are nowadays becoming more and more popular. “We sell and service automatic doors for supermarkets, hospitals, commercial office buildings, universities and many other facility types Earlier time, the cost for doing this was too much. Now the costs have come down so much that I can see this happening. Credit is easy and prices are good. It’s coming to fruition where everyone can afford an automatic door. There’s a lot more to automatic doors than just repairs. Automatic Door Systems is the place to go for new construction, additions or renovations. As the cost of automatic doors reduces, more businesses are taking advantage of this style of door offers. 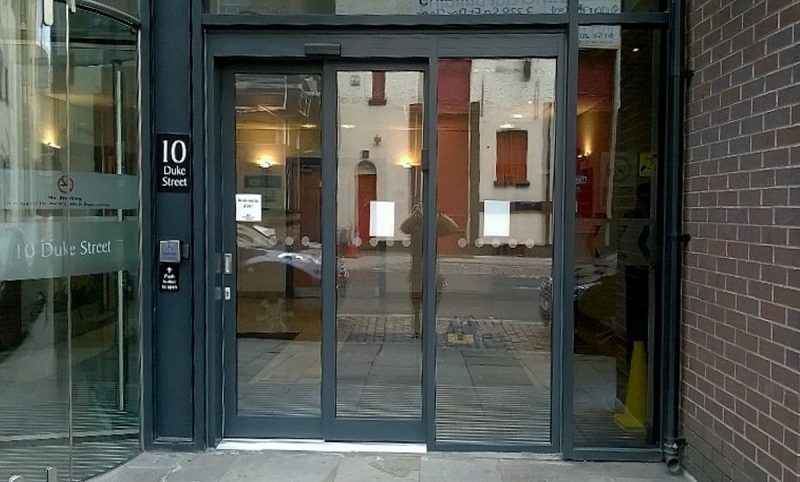 Lancashire Shop Fronts is ready to handle all a client’s automatic door needs. It’s this ability and professionalism that are increasing the popularity of these doors each and every day. Out of all the Automatic Door Company in Manchester, Lancashire Shop Fronts is the most flexible shop font designer. I would also add that we are never knowingly beaten on price for the similar quality product, so please feel free to talk to me if you think you have received a lower quote from someone else.